Home > Articles > What Is Competitive Shooting? Competitive shooting has been around for as long as man has been able to create a weapon. Fortunately, the days of throwing a spear at a log are long past us. Today, competitive shooting has grown to encompass millions of shooters world wide and is one of the most-watched among Olympic Games events. The draw of competitive shooting isn’t the pomp and circumstance; it’s the fact that an average Joe can have the ability to compete, regardless of athletic fortitude . In competitive shooting, weapons of choice can stem anywhere from a bow and arrow to the AR-15, and anything in between. In fact, for those shooters looking for simple and effective, you can even compete in sling shot shooting competitions. The opportunities to compete truly are limitless. For many, when competition shooting is mentioned, names like Jerry Miculek come to mind. The truth is, you don’t have to be the “greatest shooter of all time” to compete, nor does it require you to have large parcels of land to set up a world-championship level course. 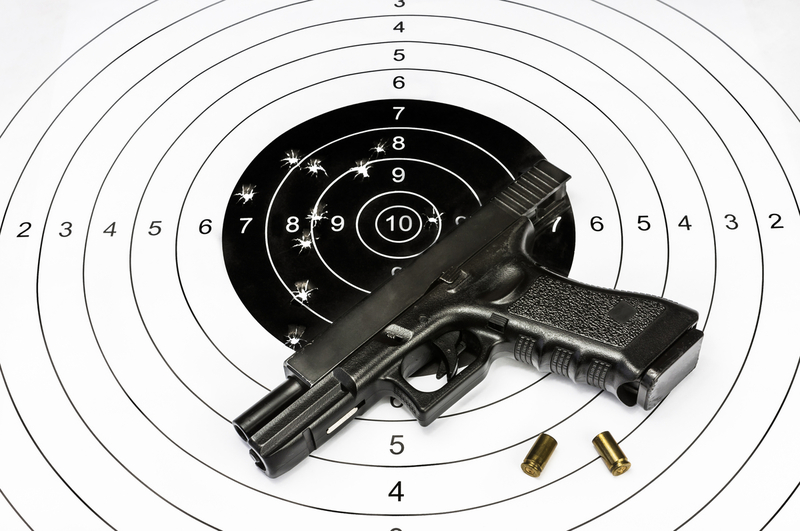 In fact, many local gun ranges will hold competitions throughout the year, ranging in marksmanship matches to techniques and gun control. Being competitive in shooting sports isn’t about having the fanciest equipment, but rather honing your skills with your firearm. In fact, many shooters will practice for years before competing in their first event. The idea behind each match is to find the best shooter, not the shooter with the best equipment. A form of competition shooting that is seeing a rise in popularity is the defensive shooting matches. In 1996, the IDPA (International Defensive Pistol Association) became the governing body of such style competitions. In Defensive Shooting Matches, there are two styles of competition: Self-Defense scenarios and Standard Exercises. This form of matches highlights just what its name entails; those situations a shooter will find themselves in when needing to defend a person or property. Shooting is usually from 3-20 yards and require shooting from different positions and stances. This match format focuses more on technique than accuracy. They will test a shooter's attention to detail in the finer points of shooting, such as drawing the gun from a holster, sight alignment, trigger control, and ability to remain on target while shooting. As shooting continues to be at the forefront of society’s view, competitive shooting will only continue to grow in popularity in the coming years.